Now that the season is done it’s time to look back and assess it, no matter how grim that might be. Rather than leaving that to pundits, who’ll claim Everton have got to two semi-finals so everything is fine, it’s better to ask the fans who have watched Everton through thin and thin. 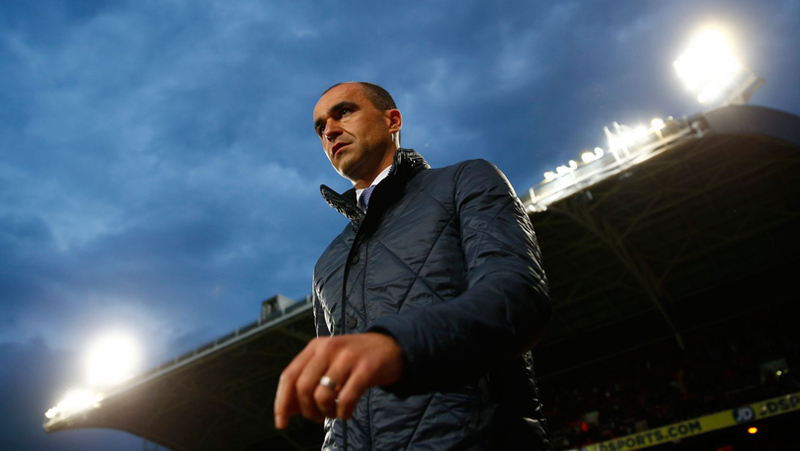 First up is Harry Watt, aka @gigHaWatt, to talk us through his view of Roberto Martínez’ time at Everton. Firstly, what is your opinion on the timing of Martínez’ departure from Everton? 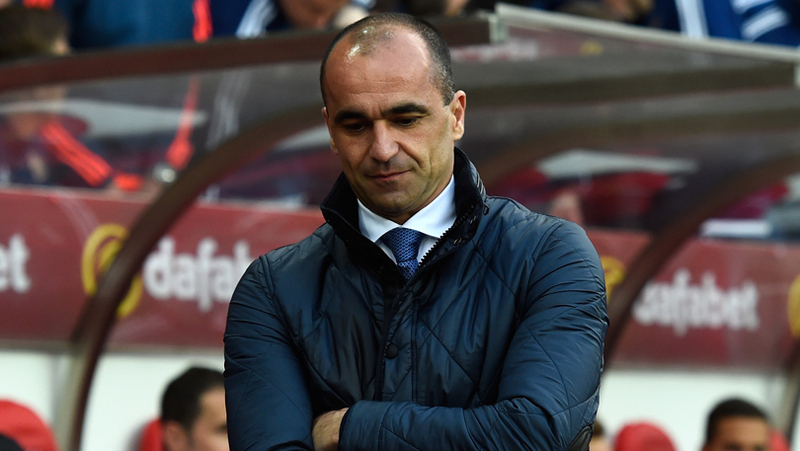 Everton were very patient in how long they gave Roberto Martínez to succeed. Prior to Thursday’s decision, there had been countless opportunities for them to show him the door and it was shocking he’d been kept on so long. Personally, I lost faith in Roberto Martínez around the time we lost 2-0 at Hull in the 2014/15 season. We’d just had a nightmare Christmas period, losing 3-0 at Southampton without him making a single sub, 1-0 at home to Stoke, 3-2 at Newcastle and then 2-0 at Hull, with Jelavic scoring to top it off. Then we went out of the FA cup at the 3rd round stage and then who can forget the Kiev debacle a month or two later. I’d more than seen enough. But it was the manner of our results, the continual failings and the manager’s inability to learn from his mistakes or shift away from his beloved, failing, principles. Moving into this season, people said ‘Ok, he’s had one bad season, but the season before was so good, let’s give him until Christmas’. I got that, we had the Europa league and other sides have also seen league form suffer as a result of Thursday nights. I’ve seen a few people say that we started the season well. I wouldn’t go that far, we were never amongst the early pace setters. We were plodding around 7-9th for the first part of the season, which admittedly was very difficult in terms of our early fixtures so I guess it was fair enough. It started to go badly wrong when we came across the teams we all thought we’d beat and one obvious match that set us back was undoubtedly Bournemouth away. Having lost the League Cup semi I think the majority of fans began to think, ‘hold on a minute, we’re not learning here’ so from then on the sack really did loom large for Roberto. Undoubtedly, if he didn’t get us to another semi-final, he should have gone earlier. The dreadful Arsenal performance that followed wasn’t one that shared the enthusiasm of the chairman after the Chelsea game. The chairman gloated ‘What a manager’, whilst our skipper looked gutted we’d progressed when interviewed after the match. We went from 1st March to 30th April without 1 Premier League win with the ‘best squad in 30 years’. I don’t know how he survived it. Especially when we produced the worst Merseyside derby performance in my 27 years, I never thought I’d say a 4-0 defeat flattered us. The manager should’ve resigned after that, but let’s face it, he had the potential to win a cup for his CV and, after all, who’d pass on a pay off? What do you make of the knock-on effect that the sacking had on the End of Season Awards? I think the club had no alternative but to cancel the awards dinner. I know that it’s a ticketed event, but it wouldn’t have been right to have players celebrating, even if they were all smiles at training the next day. One thing it does show is that the club had no intention of sacking him on that day but felt they had no alternative after the Sunderland game, probably to save him from a sizeable and unpleasant hammering on Sunday. Do you think his departure was inevitable? I do think his departure became inevitable. The run of form in 2016 has been very poor and ultimately bottom half finishes aren’t good enough. I’ve said it all season long, but this Everton squad isn’t 10 places worse than Leicester City or Spurs. 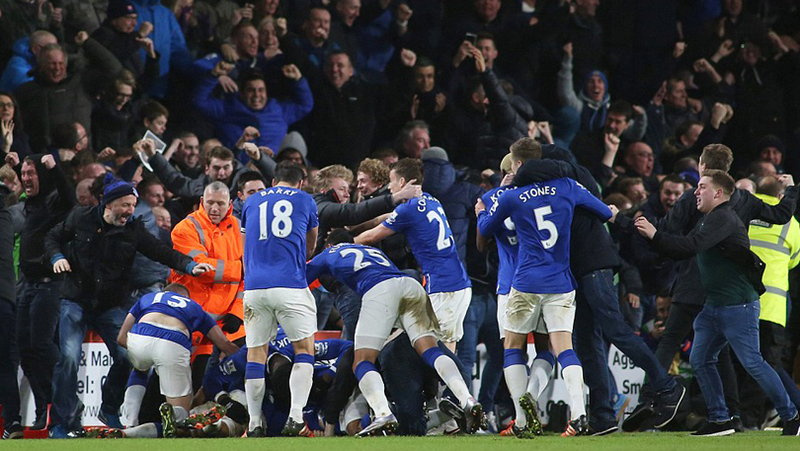 They showed what can be done with hard work and ultimately I don’t think this Everton team works hard enough. I think that stems from the fitness work that’s done. Our lack of fitness has always been something that’s concerned me with Martínez. It began in pre-season 14/15, the manager had been working for NBC in America and it seems like he wasn’t concentrating on arranging our pre-season, because the team was clearly not prepared for the start of the season. The first two games we conceded late and, as the season continued, muscle injuries consistently arrived. They shouldn’t have been happening at the rate they did under Martínez, I don’t have a figure but I’d like to know how many hamstring injuries occurred during his tenure. We know he brought his staff with him and got rid of the existing fitness and conditioning team, clearly they were flawed in their methods. Although Martínez came in with a reputation as somebody who would tactically experiment, that faded quickly and our set up became very predictable. 4-2-3-1 with one out and out winger and a ‘different’ option on the other wing. The system began to break and he didn’t really have an answer, the refusal to play two wingers constantly frustrated me. You play a central midfielder wide so he can help shore up the defence, but should that be necessary with a back four and two central defensive midfielders? Whilst it can work, against the better sides, conversely it makes the attacking threat easier to deal with. Before that was the infamous Koné experiment, which resulted in our left back being hung out to dry. Midfield-wise I think Barry has been consistently steady (our best player this season, but does lack mobility at his age) but McCarthy continually offers very little. Besic and Cleverley haven’t stamped their authority on the team, whilst Barkley has tailed off drastically. 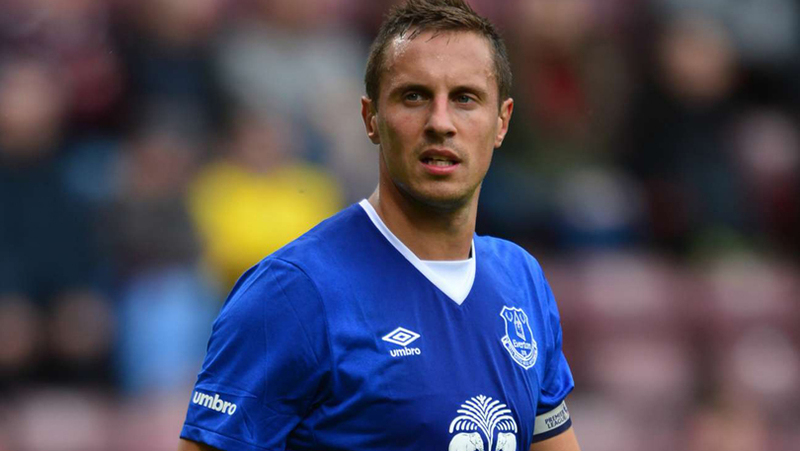 Defensively, we’ve had Jagielka who has struggled for fitness at times. Stones had his head turned, plus Funes Mori who is quite clearly new to this league. In both areas the manager hasn’t been able to sort things out, in fact we’ve gotten worse defensively and the only one who seems arsed since Jagielka’s injury is Matthew Pennington. Looking back, Roberto Martínez could’ve definitely appointed a more capable back room staff, fitness wise and in terms of a defensive and goalkeeping coach. He could’ve used the squad that was available to him, Kevin Mirallas with one league start up until Boxing Day being one example of that, rather than sticking to his favourite players. Ultimately though, if you can’t manage a squad full of international talent, one of the best goal scorers in the league and finish in the bottom half twice in a row. That’s the long and short of it, he simply had to go. Throughout his time at the club, Martínez’ was adamant that the club had to exit each transfer window stronger than they entered it. Looking at the squad he has left, do you think he has achieved this overall? I think he has done okay, but ultimately, what have these players actually achieved? Lukaku will take the headlines as being his best signing for many, but Barry was a very shrewd move as were Cleverley, Lennon and Joel Robles. Deulofeu is good, even though the buy-back clauses are a concern, and Besic looks to be decent. There are also a number of young players who have been brought in, such as Galloway, Holgate and Foulds. Funes Mori looks to have something about him, but he’s got a lot to learn so I’ll give him time. Obviously Niasse could well leave a sour taste in the mouth, but I’m willing to give him a season before I completely write him off. McCarthy is also a big outlay and in my opinion he’s been poor for quite a while now, so I do wonder if that deal was quite as good as we thought it was two years ago. Obviously Koné has been something of a disaster, although who could predict that he would suffer a near career-ending injury? McGeady, whilst a big earner, was almost free so I guess he can go into the ‘punt worth taking’ category. Whereas Atsu and Lacina Traore were somewhat unfortunate with injuries. Sales wise, Fellaini wanted to go and we got good money, no complaints from me and Anichebe was, let’s face it, quite poor and we got decent money. So I think Martínez did ok, but make no bones about it we will need a new manager who can rebuild. A lot of this current squad will either want to go, potentially Lukaku, Stones, Barkley, Mirallas. 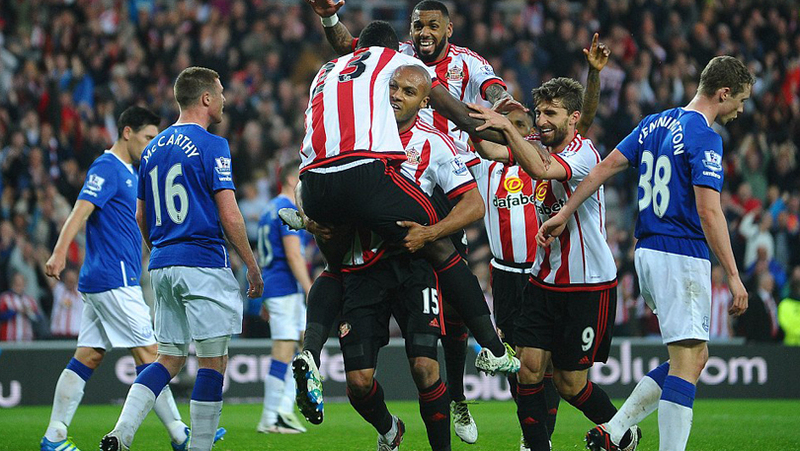 Or they’ll be going, such as Howard, Hibbert, Osman, McGeady, Gibson, Pienaar. Or they will be coming towards the end of their Everton career, Jagielka, Baines and Barry being the most obvious, so I expect a large turnover of players in the next year. Lastly, are there any positives you can draw from the Martínez era? It’s hard to remember the happier times, given how it all ended. But I think we can all look back on the good times we had in his first season. We achieved our best ever PL points tally, walked around in our brown shoes thinking we were boss again, the School of Science was back and we all felt we could easily beat anybody who crossed our path. Meanwhile, off the pitch, Alan Myers was brilliant in liaising with fans and keeping us informed, before whatever reason led to him being shown the door. Martínez was great at making time to endear himself to us, he invited Howard Kendall to Finch Farm. He insisted that our history be displayed proudly around Goodison and Finch Farm and he even invited fan groups to interview him. Inevitably though, you can say all the right things but if results aren’t to our expectations, things are only going to sour – and so it proved. I believe that the first team is at the end of its cycle and is need of an overhaul (see my earlier answer) but I do think our youth teams are in a good place and hopefully we’ll see a few of the current crop make the grade and come through. Signings wise, he has bought in good players; Lukaku, Lennon, Deulofeu, Besic, Cleverley, Galloway, Barry (McCarthy and Mori you can include too, depending on your opinion) with a number of them at a good age. On the pitch, I’d like to think that the playing squad have learned about keeping possession and staying calm with the ball at the their feet but with some of them (the defenders mainly) old habits do die hard. Whereas away from the pitch, whether it’s Martínez or Moshiri’s entrance, I do think our expectations have grown in the last three years. We’ve had a season with two cup semis and we really aren’t impressed by it, so much so that the manager has been given his P-45. You only need to look at the names we’re talking about as Martínez replacement, compared to those we were talking about when Moyes left the club. De Boer, Mourinho and Koeman compared to Martínez, Mackay and Rangnick. Times have definitely changed.